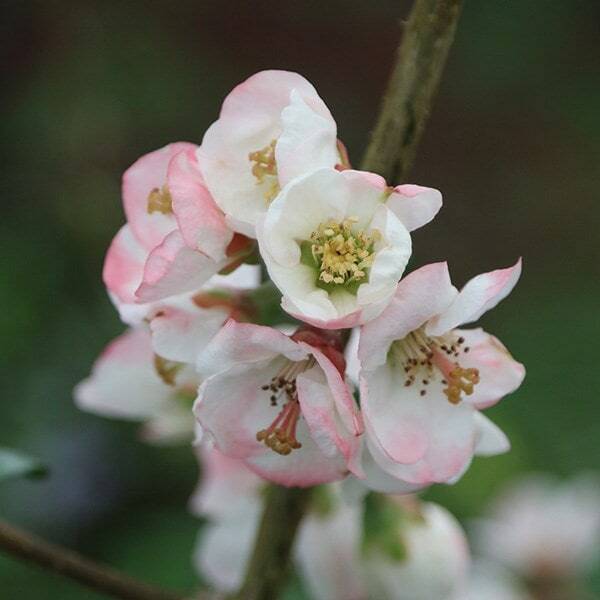 Ornamental quinces bring a welcome flush of colour to the garden in spring, when their bare twigs are smothered in flowers before the glossy, dark green leaves appear. 'Moerloosei' is later flowering than other varieties and has cup-shaped, white flowers flushed with dark pink, from March to May followed by aromatic, greenish-yellow fruit. 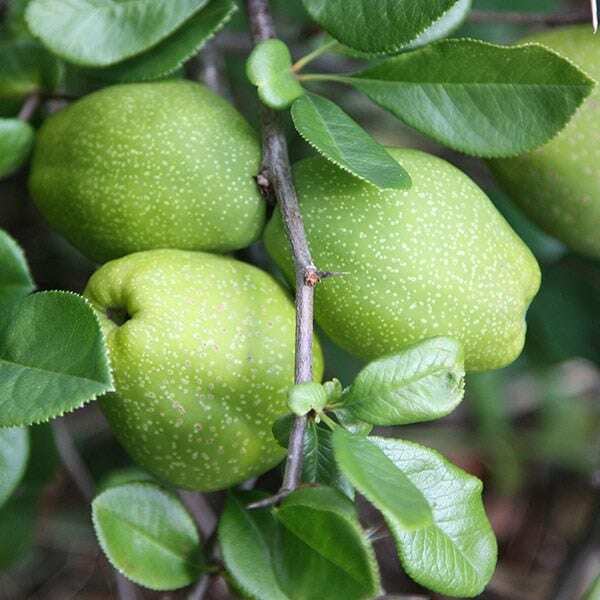 This vigorous, deciduous quince makes an attractive informal hedge for a sunny or partly shady site with moderately fertile, well-drained soil, and looks stunning trained against a wall. The fruit can be eaten when cooked. Garden care: After flowering, prune side-shoots to five or six leaves and remove crossing stems. Once established, take out excess growth in late spring or summer and cut back all side-shoots to two or three leaves. Excellent early spring wall plant. Just when you think Spring is never coming, this plant starts to flower. You can train this shrub on a wall (because of its height) or grow it as a free-standing tall shrub. Looks like apple-blossom and with more variation in the flower colour (pinks). Trouble is it is sold to be used as a wall specimen and it takes time to change its growth habit. Got two of them and planted them against East facing wall. One is thriving while the other one was eaten either by rats or squirrels. They were quite small when I got them so I guess the next time I will grow them on in a pot for a year or two and then transplant when they are a bit stronger. Pretty colour. Good for bees. Could this Chaenomeles be grown in a large container? Thanks. Hello there Yes you could, but it is a vigorous shrub with quite a spreading habit if not pruned. Hope this helps.